GET YOUR LOGO/PICTURE ON YOUR EGGS! 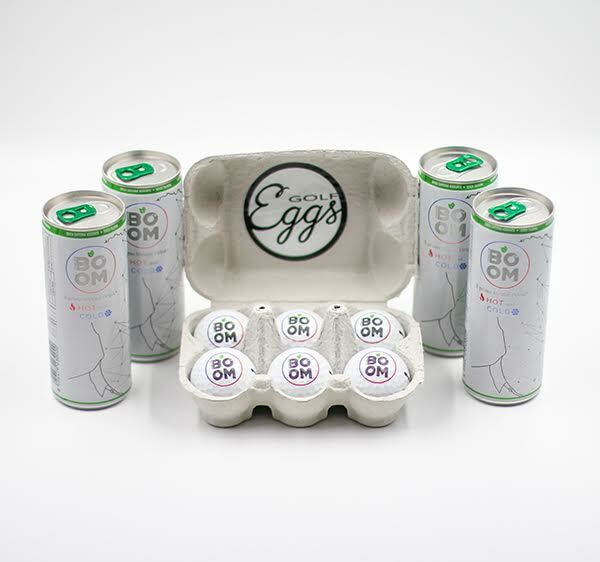 By using a dramatically simple process, you should get in a few steps your custom printed logo, photo or just a simple quote on Eggs balls. Just add an image in the window above to start designing. A powerful way to make your company logo memorable. Make Eggs balls your business card. The perfect gift for corporate events, tournaments or marketing campaigns. For printing small quantities (less then 25 dozens) and especially if your logo or photo has more then 2 colours, we use UV LED printers. This system allow us to print whatever you want, even in photograph quality, but on the other hand we have to inform you that the printing will not remain on your ball forever! The stronger you are with your shots, the less it will remain perfectly visible on your ball. For bigger quantities, using a maximum of 2 colours, we us the traditional PAD PRINTING. With this we assure you a really long durability of your logo! It will remain on your ball even after you will loose it! 12 balls pack with Scrambler Balls. For bigger quantities, using a maximum of 2 colours, we us the traditional PAD PRINTING. With this we assure you a really long durability of your logo! It will remain on your ball even after you will lose it!